Delancey Court "over 55" townhome community. Clarion Federal Model, End Unit, Brick exterior, with a side entry. This home has never had any pets. The condition is impeccable. The owners are original owners. The two-story foyer opens to the two-story living room and offers a view of the turned staircase. The formal dining room includes a bay window, upgraded tray ceiling and is surrounded by stately columns. The well-designed kitchen boasts a cathedral ceiling, upgraded Toll Brothers level 4 granite countertops with round over edges, Jennair appliances, Miele dishwasher, oversized hood, extended backsplash and Toll Brothers level 4 cabinetry, bright and airy adjacent breakfast area. The large center custom island overlooks the two‑story great room with gas fireplace. The main first floor bedroom includes upgraded tray ceiling, dual walk‑in California closets, a full bath that includes, heated floor, water closet area, a dual‑sink vanity, and a double shower with seat. The second floor offers two additional bedrooms, a hall bath, this home offers the upgraded loft that overlooks the foyer, living room and great room. The upgraded third floor is spacious and offers ample storage. There is a convenient first floor laundry and a powder room. There are nine foot ceilings throughout the first floor, eight foot ceilings throughout the second and third floors. High hat lighting is throughout the home. There are 4 additional upgraded storage areas (under first and second floor stairs and expanded space at end of hallway closet. Remote Hunter Douglas window treatments. Security System. Delightful brick patio. 2 car attached garage. In Ground sprinkler system and paver cobblestone driveway. To arrange a private showing call Debra at 215‑801‑7661. 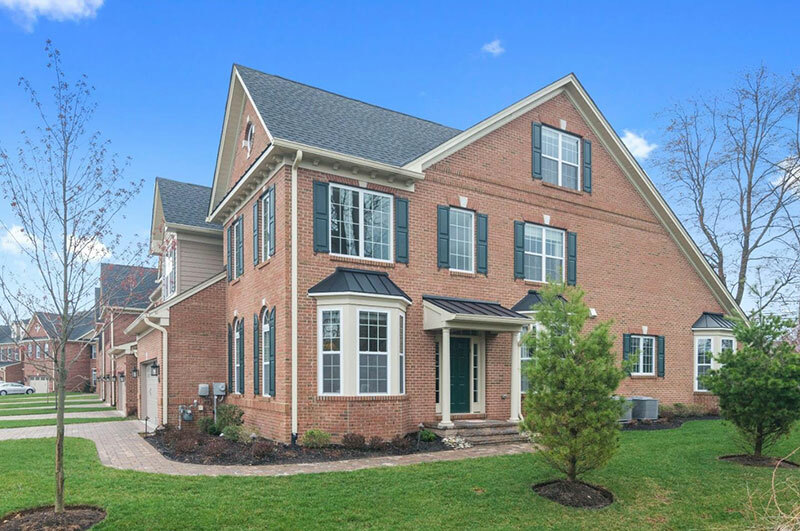 Browse all 55-plus/active adult homes currently for sale in Bucks County. To arrange private showings, call Debra at 215‑801‑7661.